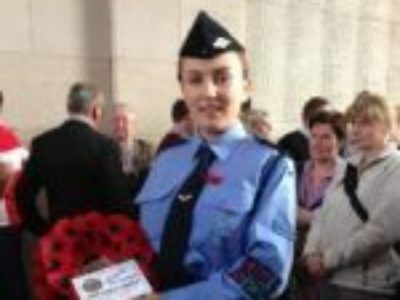 In April of 2015 Leading Cadet Tiffany Knight of Penrith Girls Squadron NSW had the opportunity to travel to Europe for two weeks with her school and visit many sites of historic significance, including the battle fields of the First World War. We recently spoke to Leading Cadet Knight who told us of her experiences in Europe. “On April 1st 2015, we departed Sydney Airport flying with Emirates in an Airbus A380 for Europe to spend two weeks visiting sites for Ancient and Modern history. The first country we visited was Italy where we toured the ancient cities of Pompeii and Herculaneum which were destroyed a volcanic eruption in 79AD, as well as the museums in Rome and the Isle of Capri. From there we then flew to Belgium to visit Flanders battlefields. In Belgium we saw the ugly truth of what the war did to this country, exploring the battlefields, craters and trenches. We visited the Tyne Cot and Passchendaele War Cemeteries which was without a doubt the most amazing yet emotional places to go to, these places both touched the whole group as we did not walk out of there without a tear. We also visited the Memorial Museum Passchendaele, which had a dugout trenches and it was amazing to see how they lived underground. Later we visited the German War Cemetary at Langemark which was quite neutral and dreary. We then went to France by coach which where we visited the Somme Battlefields and the recently established Fromelles War Cemetery, where we had our own ceremony. We also visited the Heath Cemetery, where the great-great-grandfather of one of the people in our group was buried and we all put poppies on his grave. We visited a Franco-Australian museum, which was in a school and had some amazing dioramas and photos. The Australian Memorial at Villers Bretonneux, was amazing even though it was raining, windy and foggy. The climb to the top of the tower provided an amazing view, overlooking the graves and the surroundings region. Finally we travelled to Paris where we visited the Eiffel Tower, the Louvre and various museums and did a cruise on the River Seine.